Princeton residents spoke sharply against a Caltrans proposal to raise the speed limit on Highway 45 through the town at a meeting on Thursday.Representatives from Caltrans and the California Highway Patrol, along with Colusa County authorities, staged the meeting at Princeton High School’s cafeteria to explain the proposal to raise the speed limit from 35 to 40 mph. Many residents at the meeting were not persuaded. They said the increase would only encourage travelers to speed even more through their community. Residents said the stretch of road in question has blind left turns, unprotected pedestrian crossing and no sidewalks, and and they said they’ve seen people driving up to 80 mph through the area. Caltrans representative Don Rushton said, a speed limit set too low causes frustration, road rage and other unreasonable driving conditions. “Arbitrarily low limits become speed traps,” he said. That comment drew a laugh from many in the crowd, who said the CHP rarely enforces the speed limit in the area. CHP Lt. Etic Walker, Williams area commander, said that since the economic downturn, the CHP’s office has been sorely understaffed. Caltrans is planning to raise the speed limits on Highway 20 by 5 miles per hour in the stretch immediately approaching the city of Willits from Fort Bragg, as a result of regularly mandated engineering and traffic surveys. The speeds will be raised from 30 to 35 mph, from 40 to 45 mph, and from 50 to 55 mph between post markers 32.5 and 33.0, a zone which includes three local road intersections and one route to Blosser Lane Elementary School. Caltrans officials also met with Willits city officials including Chief of Police Gerardo Gonzalez, who expressed their concerns about maintaining adequate safety measures on the 20, particularly to protect pedestrians and bicyclists who may be crossing at the Blosser Lane intersection. 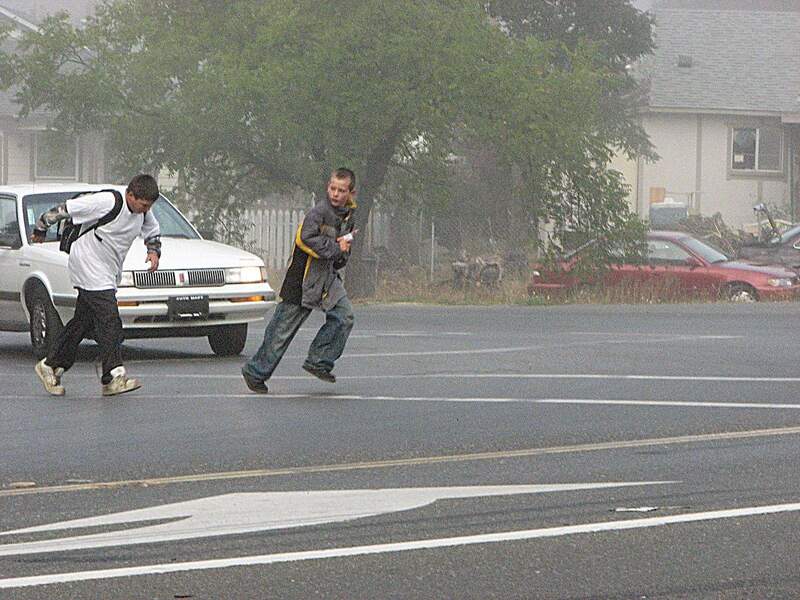 “I think locals tend to avoid that route,” said Gonzalez, “you’re not seeing kids walk there the way they used to. San Mateo County Superior Court Judge Marie Weiner tentatively denied the claims in the CEQA lawsuit brought by Pacificans for a Scenic Coast about the proposed widening of Highway 1. The Calera Creek Parkway project seeks to widen Highway 1 from Fairway Park to Rockaway by adding an additional traffic lane, a shoulder and a bike lane on each side. The CEQA lawsuit contends the Calera Creek Parkway project was not adequately described at the time of the EIR, that the project is out of scale with Pacifica’s scenic nature, the EIR contains contradictory information on impacts of threatened species, and that the EIR did not adequately address adverse impacts of the project, according to Pacificans for a Scenic Coast. The topics explored during the two-day hearing included concerns about noise, water run-off, species protection, traffic and pedestrian safety, greenhouse gas emissions and what the new road will look like in the neighborhood. The “bike lane” in this case just means cyclists get to ride on the shoulder of an expressway. The new Devil’s Slide Class I path opened just down the road, but who wants to ride on an expressway to get there? Alternative B through the Westpark neighborhood remains Caltrans’ preferred and least expensive route for Centennial Corridor, the controversial freeway link between Highway 58 and the Westside Parkway — but would require the demolition of far more homes and businesses than previously thought. With its release Friday of the project’s draft Environmental Impact Report, the state transportation agency found Alternative B would improve traffic throughout metropolitan Bakersfield — but as currently planned would require the demolition of 200 single-family homes, 110 multiple-family structures and 121 commercial buildings. Previously, the freeway alternative through southwest Bakersfield was thought to require the demolition of more than 199 single-family homes, 16 multiple-family structures and 36 businesses. 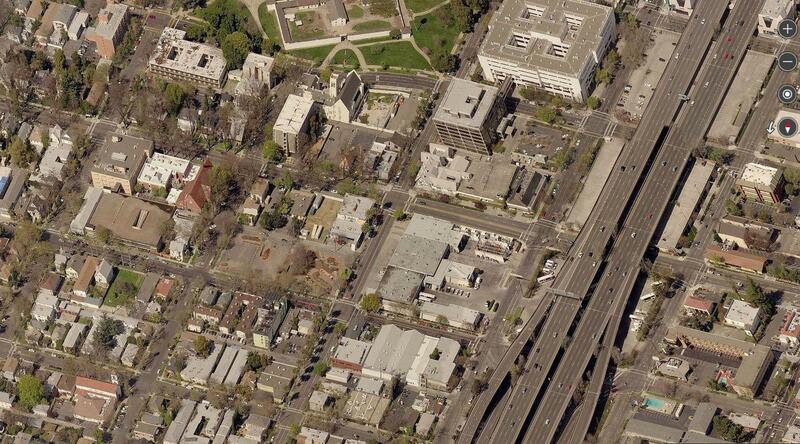 Currently, Caltrans also estimates Alternative B would require 293 full parcel acquisitions, 129 partial parcel acquisitions — and could displace an estimated 961 people. A key stretch of Highway 1, the world-famous coastal highway, would be widened to 6 lanes under a proposed Caltrans project. The Calera Parkway widening project would affect a scenic 1.3-mile stretch of highway above Rockaway Beach. According to Caltrans, the project is needed to reduce peak hour delay by 5 minutes — in the year 2035. Many residents in Pacifica are not convinced that the environmental impact of the project is worth a hypothetical 5-minute travel savings. Highway 1 is also a world famous bicycling route. Caltrans has incorporated bikes into its planning, by proposing cyclists use the 10-foot shoulder that would be built as part of the project. I don’t know about you, but riding on a high-speed 6-lane expressway is not very “accommodating”. The project would be funded mainly by the San Mateo County Transportation Authority. San Mateo County has always been indifferent to the safety needs of bikes/peds, and yet has no problem coming up with money for idiotic highway widenings. 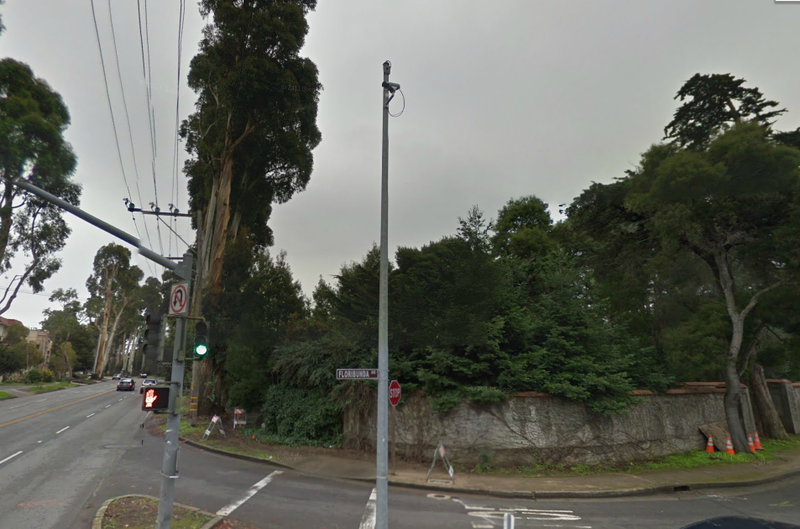 Some Burlingame and Hillsborough residents are concerned with the prospect of tree removal along El Camino Real and Floribunda Avenue to rebuild an intersection that is said to be unsafe. The California Department of Transportation is currently in the environmental documentation phase of a project it hopes would improve traffic safety at the intersection, according to Caltrans spokeswoman Gidget Navarro. 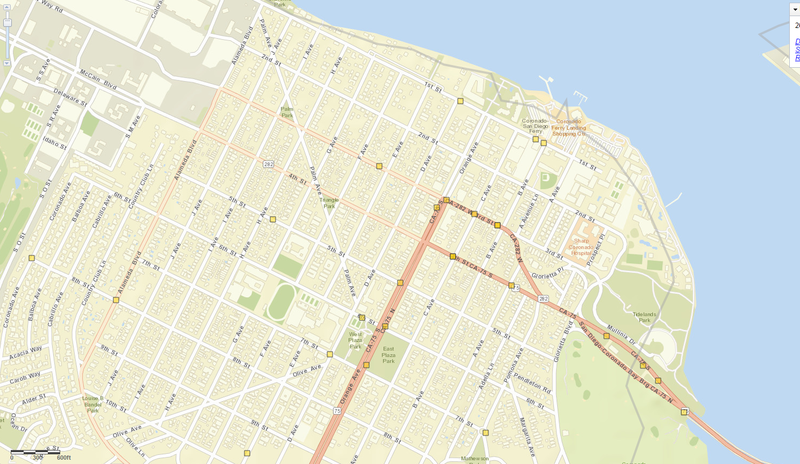 Caltrans is gathering information to assess potential environmental impacts of options that include installation of a left turn lane, which would require the widening of the road and potentially removing various types of trees. 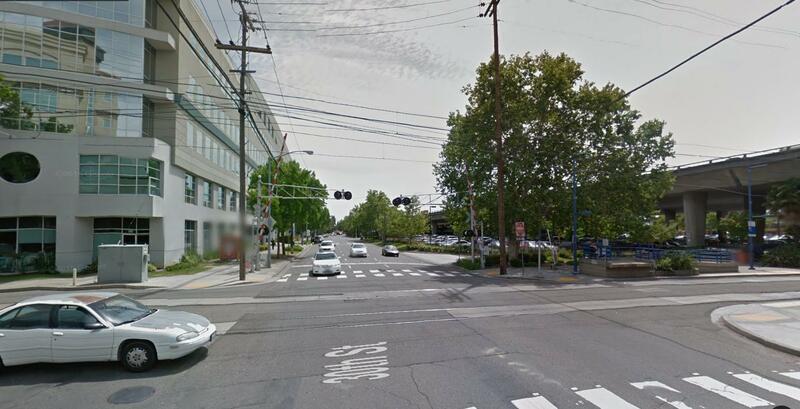 Caltrans’ standard approach to any “safety” issue is to widen intersections. This often makes the road more dangerous — especially for pedestrians. Of course, it really isn’t about safety. This is all about speeding up car traffic.